Students, teachers and education supporters are singing the praises of the singing math teacher. Kathy Moody, a math teacher at Northeast Middle School, is the Golden Apple Teacher of the Year. 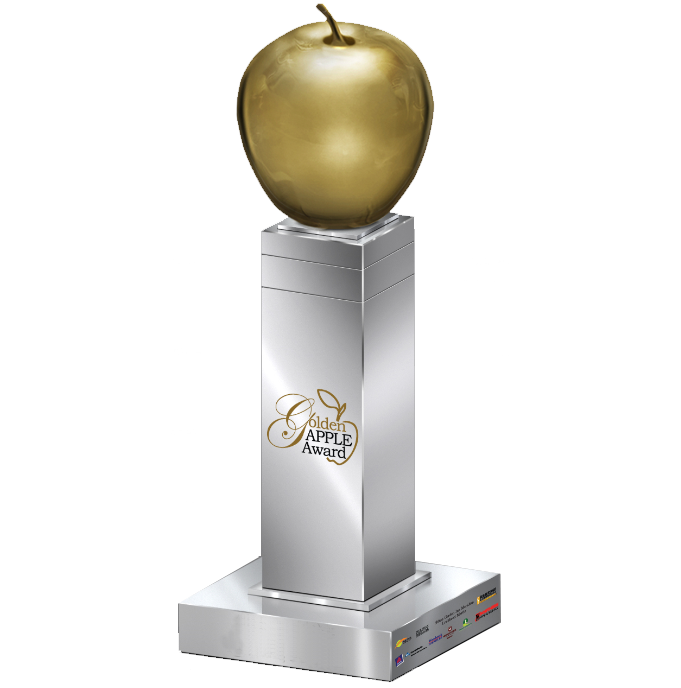 She was chosen from among 10 teachers, all who have earned Golden Apple Teacher of the Month awards. At a banquet honoring all 10 teachers on Tuesday night, Moody was surprised to learn that she was named the top teacher. "I'm feeling excited, humbled that I won over these great teachers," Moody said. Prior to the announcement, Moody and the other teachers, along with guests at the banquet were treated to a video presentation that recalled each of their awards. "I felt like, as I watched the videos, I picked out some that I thought would win. I didn't think it would be me," Moody said. "I am feeling overwhelmed that I won. I'm tickled pink because teaching is my passion." As the Teacher of the Year, Moody received a $2,500 check and a $2,500 scholarship in her name will be awarded to the student she nominated, Inger Marie Slaughter, a senior at Northeast High School. "She's not only academically gifted, but she is just a caring young lady. She cares about people, not only people her age, but she cares about older people. She goes and visits older people and does things for them. She's just a very compassionate young lady." Twenty students nominated Moody for the teacher of the month award, which she won in November. In an interview in November, Moody explained why she's known as the singing math teacher.